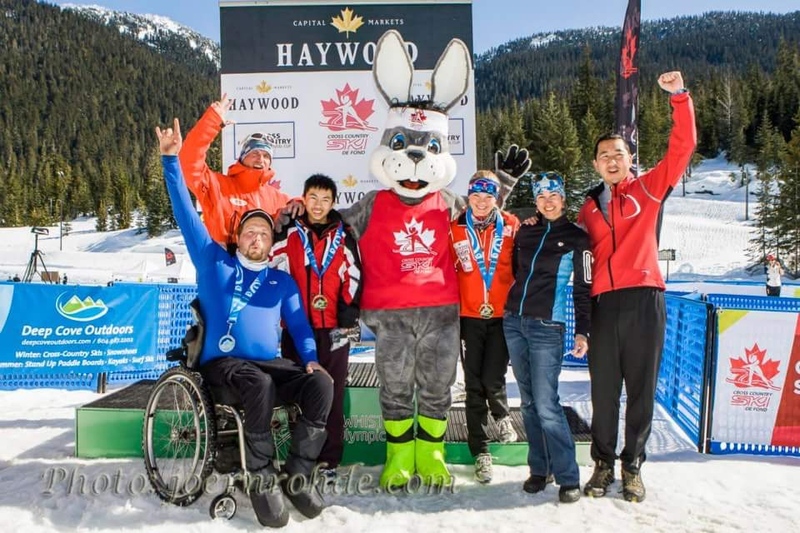 Nordic Racers has a Para-Nordic development program aimed at providing introduction, development and support in the sport of para-nordic skiing and racing. Our ultimate goal is to assist athletes in achieving excellence through the sport of para-nordic. Coaching is provided by certified NCCP coaches. Able to transfer with minimal assistance and have enough upper body strength to move your own bodyweight in a sled. Support staff does not push or two athletes in our programs. Includes blind and visually impaired as well as amputees, cerebral palsy, muscular dystrophy, etc. Must be able to stand and walk at least 400m with or without walking aids such as a cane or crutches but without assistance from another person. From a young age, Courtney has been in competitive sport. Despite being visually impaired with just 10% normal vision (a perk of being born with albinism), she participated in a variety of sports, including equestrian, soccer, cross country skiing and track and field.